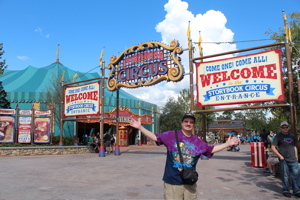 Today was the first official day of the Epcot International Flower and Garden Festival, and Disney did a great job! 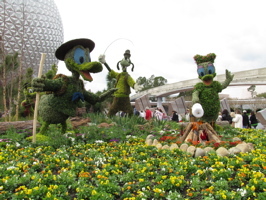 We have some possible frost coming in the next couple of days, so hopefully the topiaries and flowers hold up well. 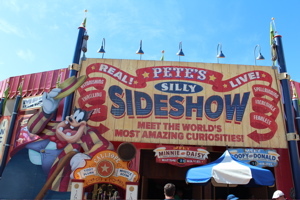 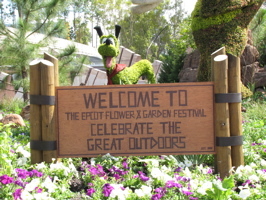 Donald, Goofy and Daisy enjoy the great outdoors (below, left) as Pluto looks over the “Welcome to the Epcot International Flower and Garden Festival, Celebrate the Great Outdoors” sign.